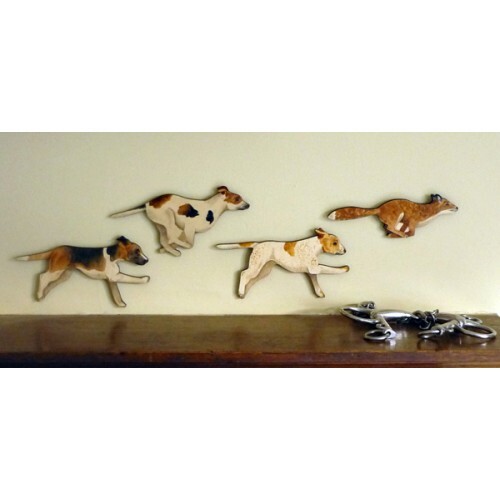 A fun collection of Huntsman, fox & hounds. 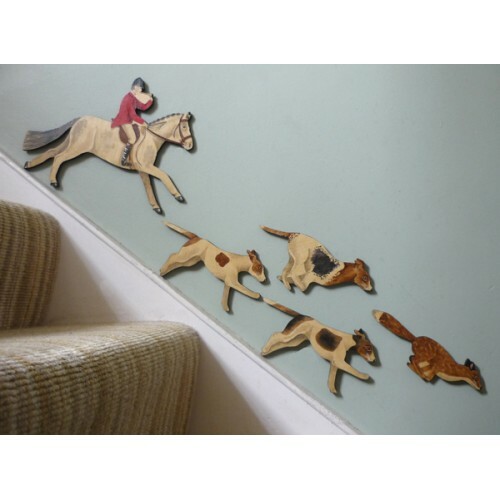 If you would like to add the Personalised Horse & Rider to this set, please get in touch. 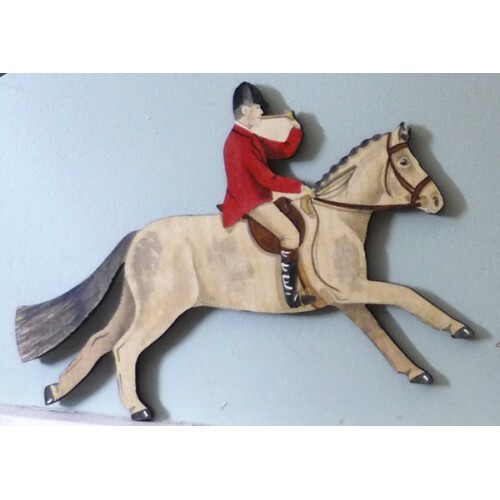 Please note that personalised pieces are cut in the same shape but painted to look like your horse. If your horse really won't fit into the standard shape eg a Shetland, please get in touch first. All hang up by a picture hook on the back. 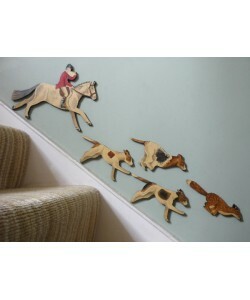 Horse and hounds will be painted in a similar coat pattern to the ones in the image.